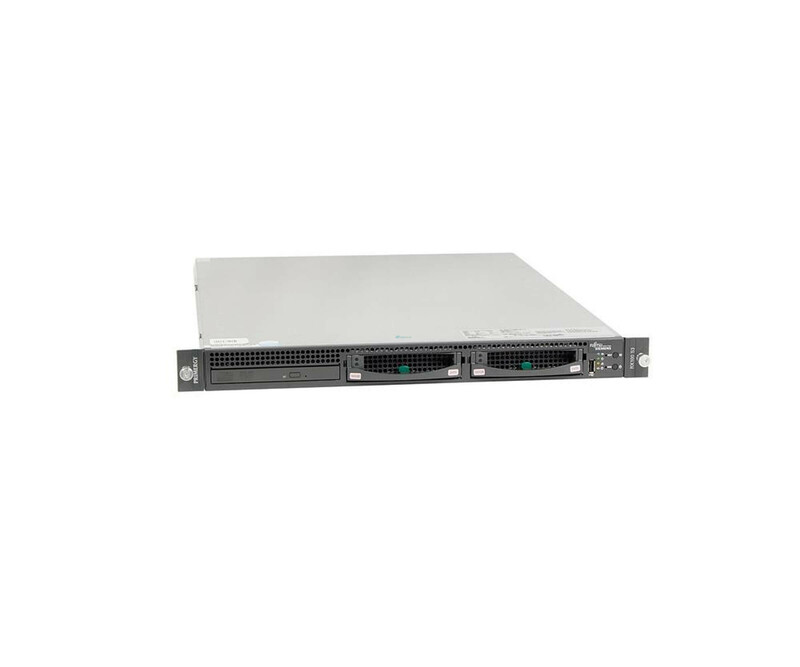 Fujitsu Primergy RX200 S3 - Server - RAM 8 GB - 2x 300 GB SATA - Intel Xeon 5110 1.60 GHz"
The single-processor server PRIMERGY RX100 S3 Fujitsu provides a simple implementation, using the optimized size, complexity and cost. The single-processor server PRIMERGY RX100 S3 Fujitsu provides a simple implementation, using the optimized size, complexity and cost. By increasing business processes and growing customer bases, the dependence on IT technologies increases, so that data centers face increasing challenges. Kick that with the used 1U rack servers meet and create new opportunities. Search enhanced by innovative platforms that less impact on your budget, is the Fujitsu PRIMERGY RX100 S3 the right answer. An Intel Pentium D935 Dual Core CPU with 3.2 GHz and 2 GB of DDR2 memory, ensure at all times the computational power and your business application requirements. The RAM can it still be retrofitted to 8 GB total capacity. The space-saving 1U format of Fujitsu PRIMERGY RX100 S3 with a depth of less than 60 cm, allowing for easy installation in many racks. Because of the integrated network and management options, you do not have to work but always directly on the server, but take different settings easily from a distance before.